The state of Illinois only requires contractors operating in public works or roofing contractors to be licensed by the state. General contractors and specialty contractor licenses are handled at the local level. To find out if your operation needs a license in the area you will be working in, you’ll need to check with that particular city or county. For more information about contractor licensing in Illinois, visit the state’s Registration, Licenses, and Permits website. As for workers’ compensation insurance, Illinois, like many other states, requires any contractor who has one or more employees or uninsured subcontractors to carry workers’ compensation insurance. Employers found not to be compliant are subject to substantial fines for each day they are considered non-compliant. Contractors are encouraged to visit the IWCC website for more information about workers’ compensation employments. All contractors face many risks with every job and at every worksite. Whether you are a general contractor, subcontractor, or specialty contractor, the most affordable method to mitigate these risks is to purchase an affordable contractors insurance package from Fairbanks Insurance Brokers. 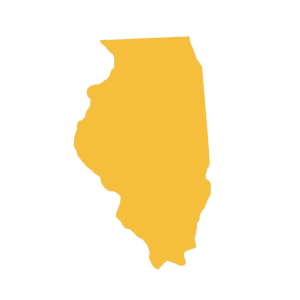 Almost every state requires workers’ compensation coverage when a business has one or more employees or uninsured sub contractors and Illinois is no different. Contractors should remain diligent about financially protecting their employees from injuries or illnesses that are work-related. Whether you use passenger vehicles, trucks, or vans for your business, it’s most important that you purchase commercial auto insurance to mitigate your risk from third-party legal actions or damage to your work vehicles. Surety bonds come in many forms and are regularly required for licensing, bidding, payment, and performance. Bonds should not be confused with insurance because they are more like a credit line (that must be repaid) than an insurance policy. Fairbanks Insurance Brokers represents multiple bonding companies and will make sure that your business will pay the most affordable rate possible.